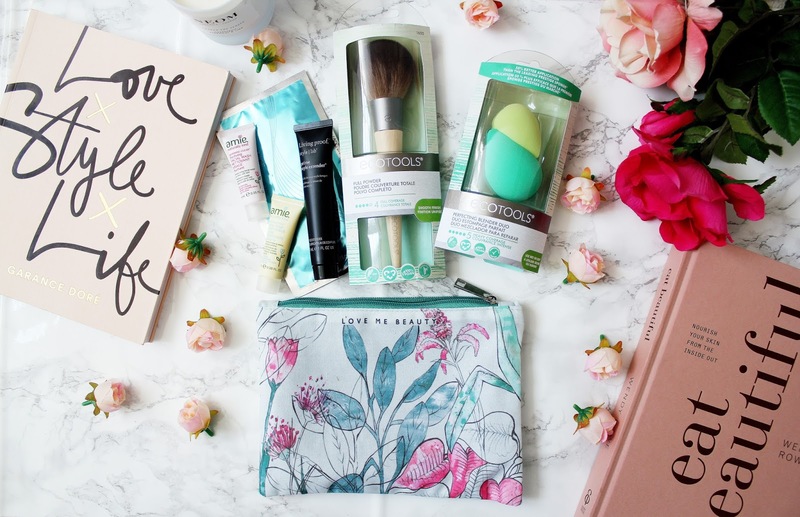 Love Me Beauty as a beauty box brand I’ve fallen in and out of love of. Some months I am so excited about an edition and I am beyond impressed with it, whereas others I am left feeling disappointed. However, this month’s edition has to be my favourite yet! It’s a collaboration with makeup brush brand Eco Tools and how gorgeous is the make up bag the products come in as well?! 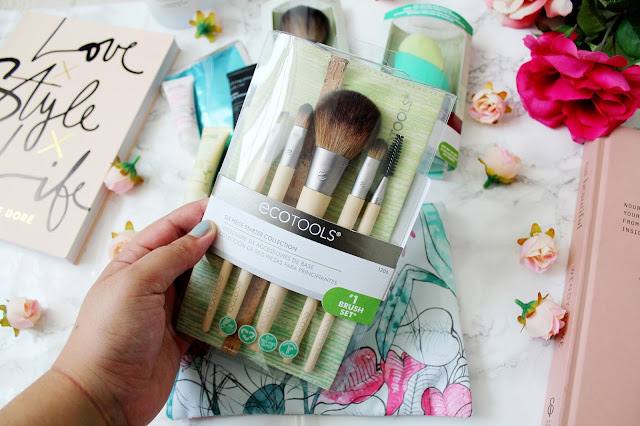 This months edition was full of all things EcoTools including their new perfecting blending duo set of sponges, powder brush, contour perfecting applicator and a 6 piece brush set. The edition also included treats from Living Proof, Amie and Dr Bragi. So how does Love Me Beauty work? Love Me Beauty works on a credits system where you have 60 credits to use each month. 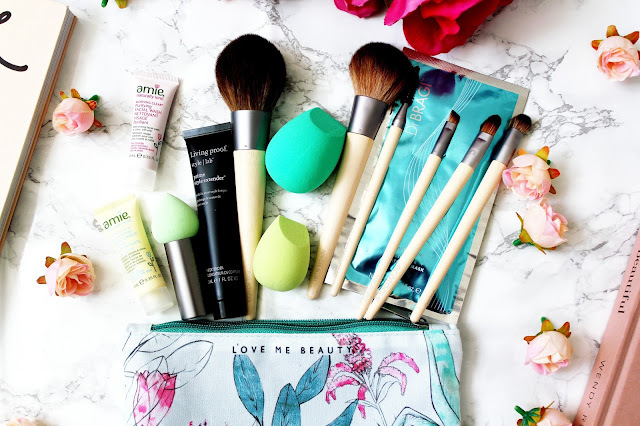 When you first sign up to Love Me Beauty you have to complete your profile, which includes your skin type, favourite makeup products etc and they’ll create the best recommendations for you. Every month the edit is different and they’ll be delivered to your door within 3-5 working days, winning! This starter kit has everything you need for a makeup lover (or budding makeup lover) and it includes a concealer brush, eye shadow shading brush, angled liner brush, lash and brow groomer and blush brush. 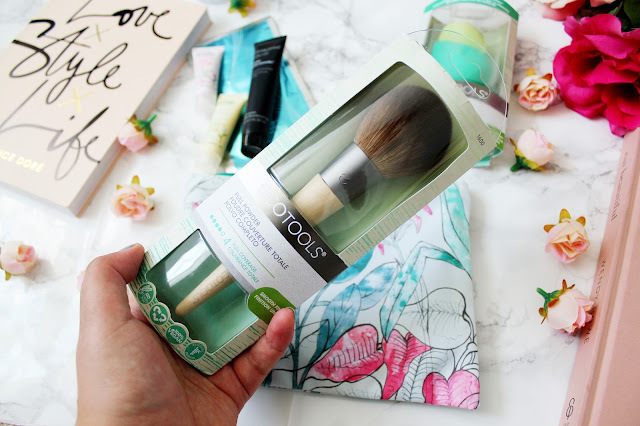 My favourite brush in this set is the blush brush as it’s perfect for applying powder for my under eye area. This set is super handy is it fits perfectly in the Love Me Beauty makeup bag which means its perfect for travelling and being on the go. This duo sponge set is 100% vegan and is the perfect duo for flawless base application. I love using the lime green blender in this set to blend in my concealer but also for when I’m using colour correctors. 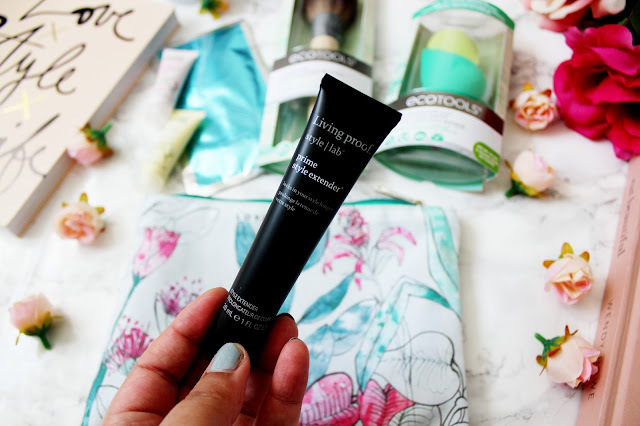 The dark green blender is perfect for applying foundation and makes sure you have the dream Instagram flawless base. This was the product I was most unsure about in this months edit as I’ve never seen anything quite like it! 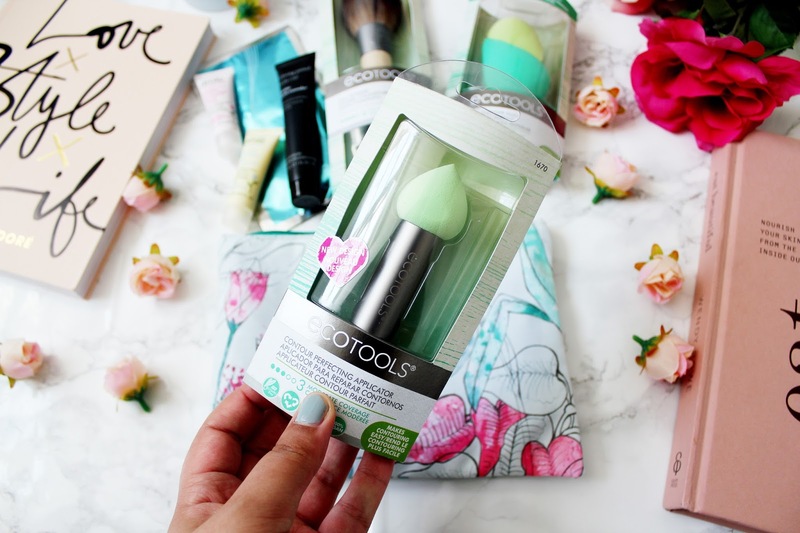 This brush is ideal for sculpting your cheekbones when you’re using highlighter and contour creams and powders. Made with over 70,000 bristles, this densely packed brush has over 200% more bristles then a standard powder brush. This brush is ideal for setting your makeup and is super soft on your skin too. Do you go away a lot? 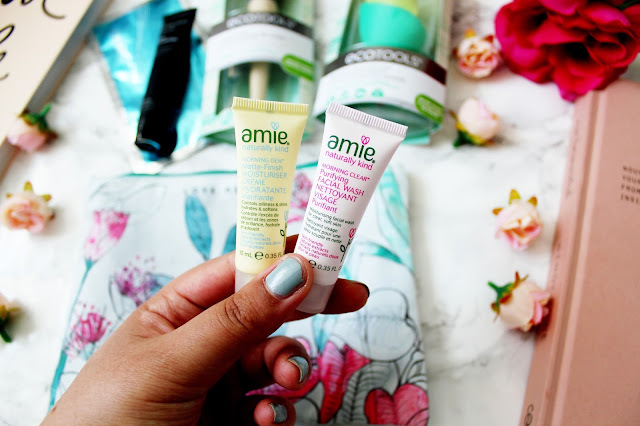 Well this travel size duo from Amie will be right up your street. These two products are the brands best sellers too. I’m yet to give these a try but I’m going to be packing them for when I go away in May on a 3 day trip to Rome as I’ll need to travel light! 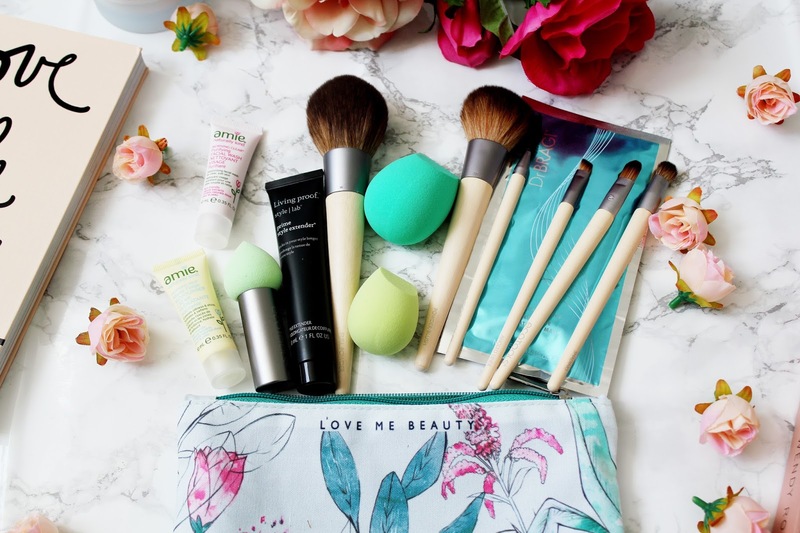 Is a beauty box even a beauty box if it doesn’t include a face mask? 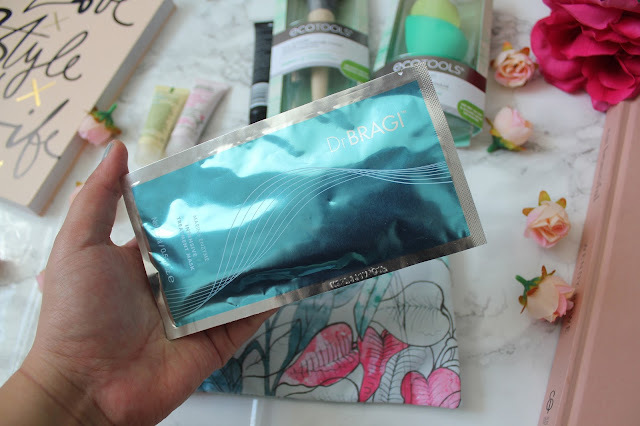 I’ve never heard of the brand Dr Bragi before but I am dying to try this out next time I have a pamper sesh. This is an intensive mask which is infused with marine enzymes which help to make your skin look plumper, smoother and brighter! 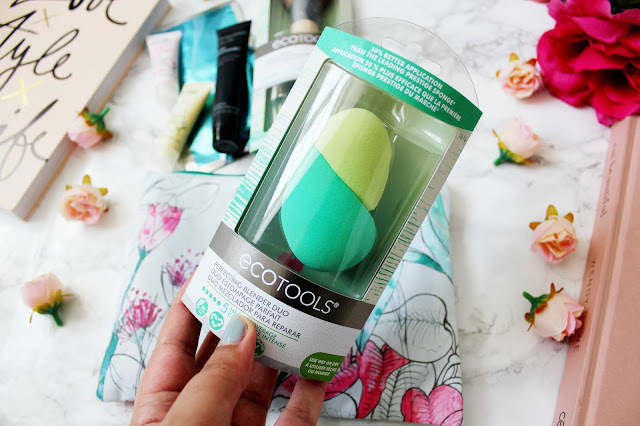 Overall, I am seriously impressed with this months edition, especially the collaboration with EcoTools and how gorgeous the makeup bag included is! You can also receive 20% off your first Love Me Beauty order with the code ‘BECCA20’ so what are you waiting for? They also have a refer a friend system where if you refer a friend you’ll get a free months subscription for you and an extra 30 for your friend on their first order! You can use my sign up code, which is ‘BECCA608’. Subscriptions start from just £8 a month for a 6-month subscription! You can sign up to Love Me Beauty here. The brushes look amazing! I love the look of the sponges, I really want to try them.